KAVANAH KARDS & ​MINDFUL MITZVAHS! Hashem is waiting for YOU! Do it now! New! - Zera Shimshon Gem - New! In Rabbi Dovid Goldwasser's daily shiur on Zera Shimshon of 3/13/19, he says the mitzvah of bringing people to do mitzvahs can be considered greater than the doing of the mitzvahs. He cites the story of an unlearned Jew who couldn't daven, but who went through the town every day calling the Yidden to daven. When he expressed his bitterness to the Rav that he wouldn't be able to get any zechus since he couldn't daven, the Rav said he got more than everyone because it was he who brought the others to daven. Looking at this in another way, even if we can't personally state our intention before doing mitzvahs, daven with kavanah or even use a Kavanah Kard all the time, we can all share them with others, fulfilling the great mitzvah of bringing others closer to Hashem. Get Kavanah Kards to share today! To join the 5 minute class by Rabbi Goldwasser email zerashimshon@gmail.com with "join" in the subject line. They will call you at 3 pm to listen to the shiur. You will receive an email with all the information. How many mitzvahs are you doing when you share Mindful Mitzvahs and Kavanah Kards? Here are a few: bringing others closer to Hashem, giving Hashem nachas ruach (pleasure), ahavas Yisroel (loving your fellow Jew), chesed (lovingkindness), v'ahavta l'rayecha k'mocha (loving your neighbor as you love yourself), kol yisroel arevim zeh l'zeh (all Jews are responsible for each other), loving Hashem, emunah (faith) and bitachon (trust)! ​Every time they use the materials and improve their relationship with Hashem, you get great zechus! Be sure to get all your schar by first saying or thinking: "I am fulfilling the mitzvahs of (list them), as Hashem commanded." Schools: GET Kavanah Kards​ NOW! Yiddish Kids Kavanah Kards are here! Read "No Way Out", an original 2-part story for kids, based a true story about MINDFUL MITZVAHS published in HAMODIA's BINYAN MAGAZINE! When you land say or think "I am fulfilling the mitzvah of dwelling in Eretz Yisroel, as Hashem commanded" and every minute you're there is a mitzvah! "Mindful Mitzvahs puts the SOUL in your mitzvahs!" "All you have to do to create change in Klal is change yourself"
​ASK Hashem to help you do Mindful Mitzvahs to come closer to Him--He always says "Yes". ​a closer relationship with Hashem! Rav Chaim Kanievsky: "Bracha v'hatzlacha"
​spread all over the world". ﻿﻿ Hashem is waiting to have a deep personal relationship with YOU! Do you want to connect more with Hashem--to have more kavanah when davening and saying brachos? See the positive effects of kavanah in the TORAH section! Help is here! Join the Mindful Mitzvahs Campaign; get and use the Campaign form and Kavanah Kards. Use cards in your Siddur, post them where you make brachos, keep them on you and share them with everyone you care about!. Help Klal Yisroel by becoming a Sponsor, Ambassador or by sharing with friends. If you have connections with publications, ask if they will put in articles and/or ads (it's good for their business :). The more of us that gain a closer connection with Hashem, the more Hashem will help us! Give them to people you know or put them wherever you think interested, like-minded people will take them to use. Leave a supply in neighborhood shuls. Suggest to your neighborhood school or tzedaka organization to send them out in a mailing. Use them instead of or in your Rosh Hashana, Purim, Chanukah or special occasion cards. They can be supplied with personalized dedications. It is truly the gift that "keeps on giving"! Please help make the difference for all of us! See more about the Project to the right. 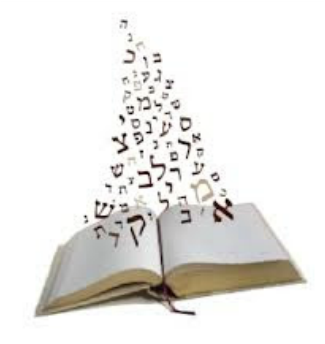 Stating before doing any mitzvah, "I am fulfilling the mitzvah of ____ as Hashem commanded" affirms Hashem's Kingship and fulfills the Halacha in Shulchan Aruch, Orach Chaim simen ס. Using Davening Kavanah Kards helps increase focus and dedication, rekindling the inspiration of your davening, It also fulfills the halacha to think of the meanings given for Hashem and Elokeinu. Every person who strives to create a closer relationship with Hashem benefits them as well as Klal Yisroel! The Serving Hashem Kavanah Kard helps elevate every day actions such as food selection, exercise, going to sleep on time, striving for peace and happiness to be for the service of Hashem. It puts a whole new slant on shopping for and cooking healthy food or for not eating that candy bar! In asking Hashem to bless us with hatzlacha in our striving, we are making Him the beloved Partner in our lives that He seeks to be. Use it for everything! Be part of the Kavanah Kard Project and the Mindful Mitzvahs Campaign! We distribute everything free of charge through donations. Spreading them brings a share in the great ongoing zechus of helping bring others closer to Hashem. Please use them, share them and support them.